I am a proud, committed, hands-on lawyer. My goal is to obtain a just result for each of my clients. I strive to balance client interests with important individual and community values. It is something I work very hard to achieve. 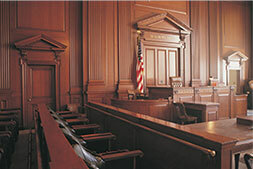 Criminal defense attorney Russell D. Bernstein has been practicing law in Florida since 1997. Under his leadership, our firm offers you professional service and an aggressive defense of your rights and interests. For straightforward answers, sound legal advice and zealous representation, please contact our offices in Coral Springs and North Miami today for a free consultation with experienced traffic ticket and criminal defense lawyer Russell Bernstein. From administrative hearings to the court of appeals, Russell Bernstein has the experience and credentials to be with you at every step to ensure that your rights are protected in any criminal case.